Ahoy me hearties and shiver me timbers! Talk Like a Pirate Day is September 19th this year, which is right around the corner. I don’t know about you, but pirates are pretty popular in our home right now. 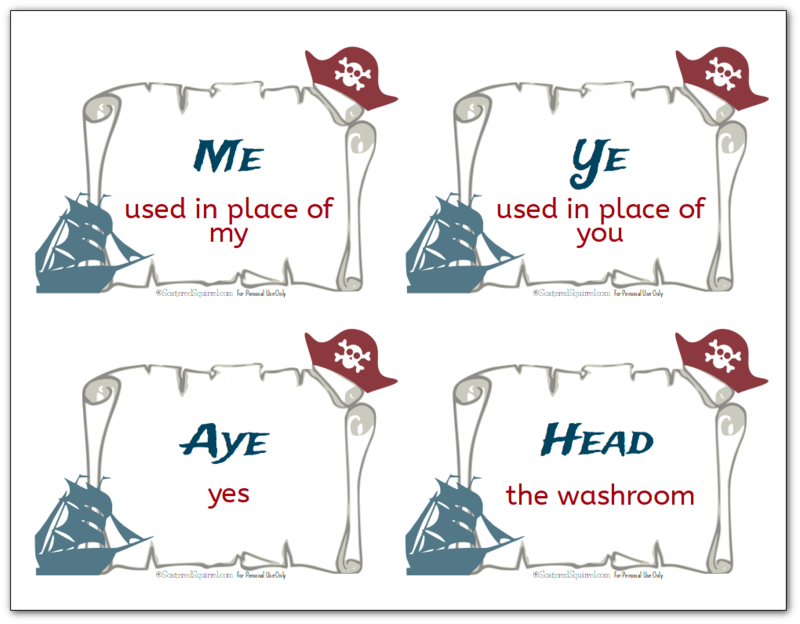 This year I thought it would be fun to make some printable flashcards with pirate terms and sayings to help us make the most of this totally fun and frivolous day. 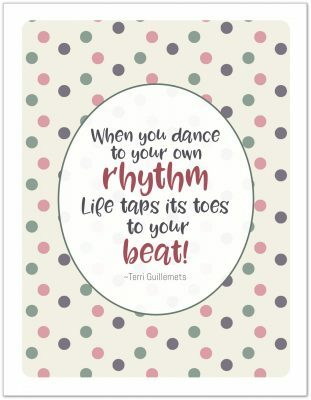 And you all know I can’t make printables and not share them here with all of you. I’m betting there is at least one person out there who will find a use for these. 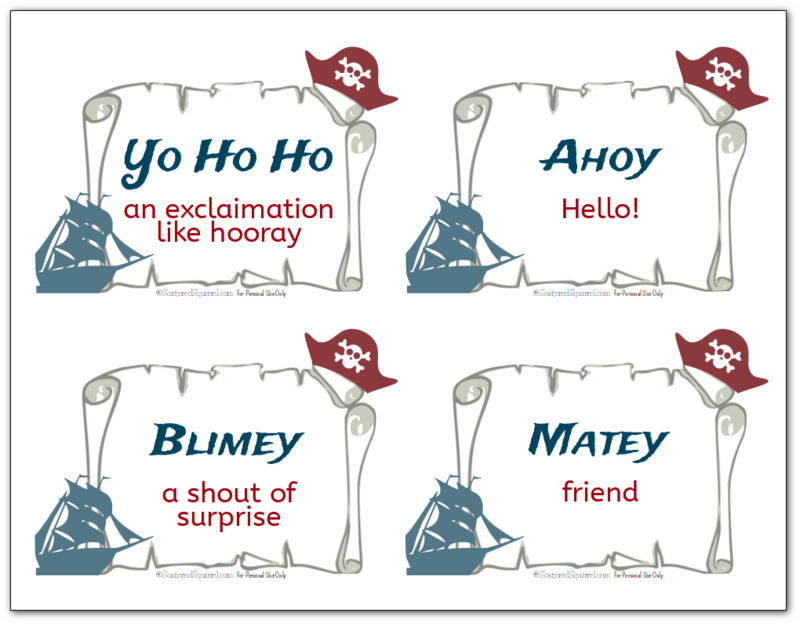 I know that I don’t really blog about kid activites or, at least not often, but I just couldn’t resist having some fun with pirate words. 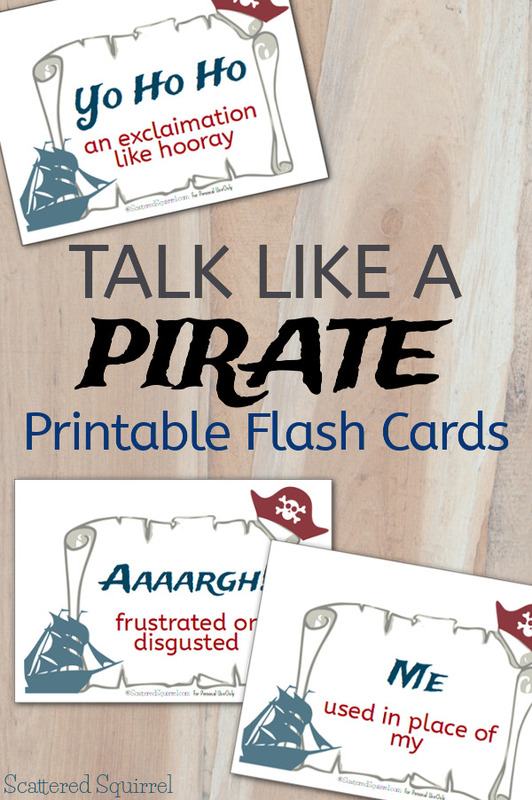 I toyed with a whole bunch of different ideas for things we could do to have fun on Talk Like a Pirate Day, but in the end, I think these simple printable flash cards were the way to go. We’re a kooky kind of family and generally we don’t need an excuse or special day to have a little fun outside the ordinary. I foresee these flashcards getting a ton of use, and a whole lot of additions as time goes on. It wasn’t hard to find a list of pirate terms and sayings, a simple google search pulled up lots to choose from. 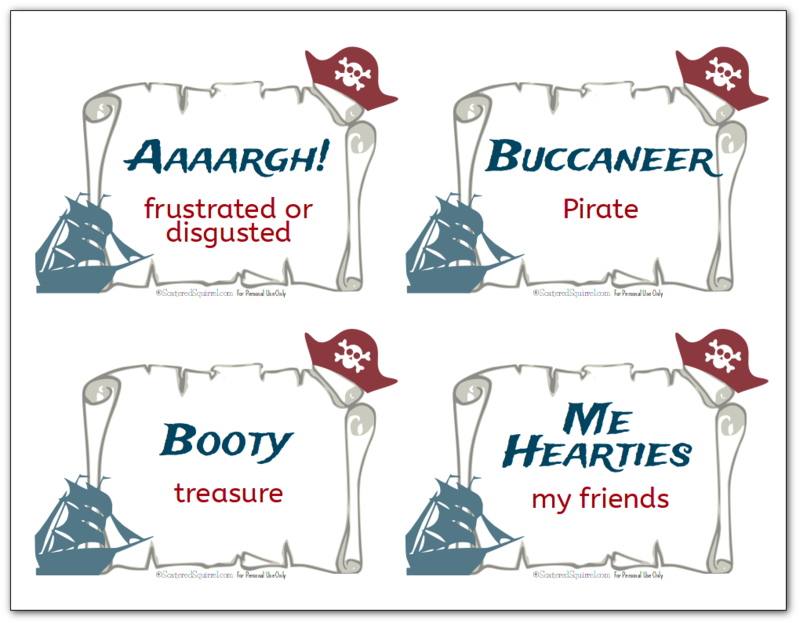 I tried to be really picky about what sayings and terms I included here, I was going to for an appropriate for all ages group of words, and some pirate terms that sound really cool mean things that I was pretty sure most parents would frown on if I included them in this collection. 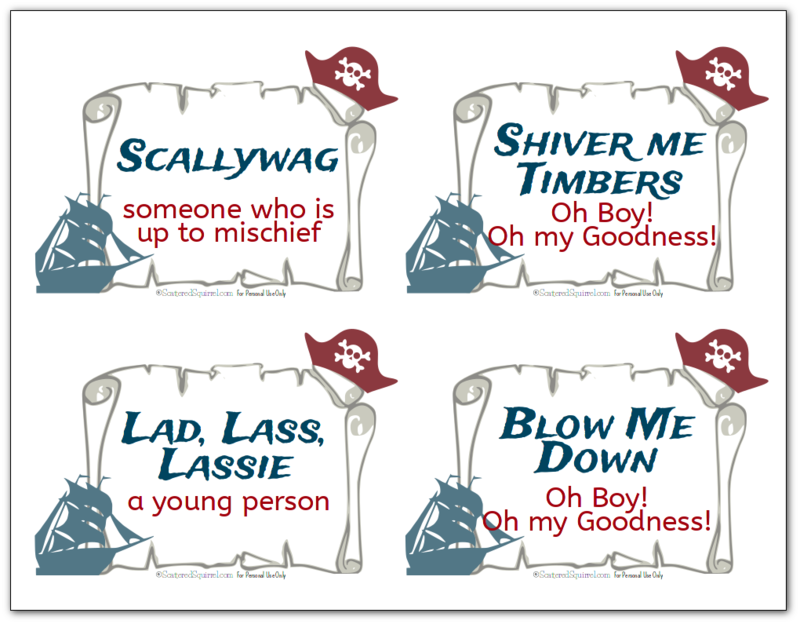 So, fair warning, there are only 16 terms and sayings (four per page) in the pirate talk printable collection. And because I know that there are many sayings and terms I missed, I’m including a blank one so you can have fun creating your own. To grab a copy of these printables for yourself, just simply click the picture to snag the pdf. Once printed just cut out the cards and you’re good to go. 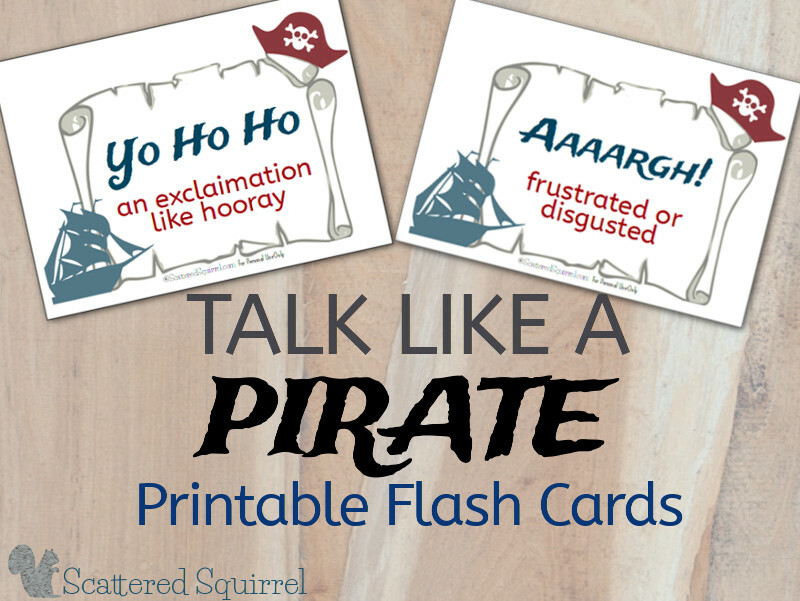 I hope that you and your kiddos are able to get some use out of the printable flashcards. I’m sure there are more way you could use them, especially the blank ones. Use your imagination and have some fun with them! If pirate words and terms are something you and your family have fun with then you’re going to want to check out these fantastic pirate sight word games from Brain Power Boy. 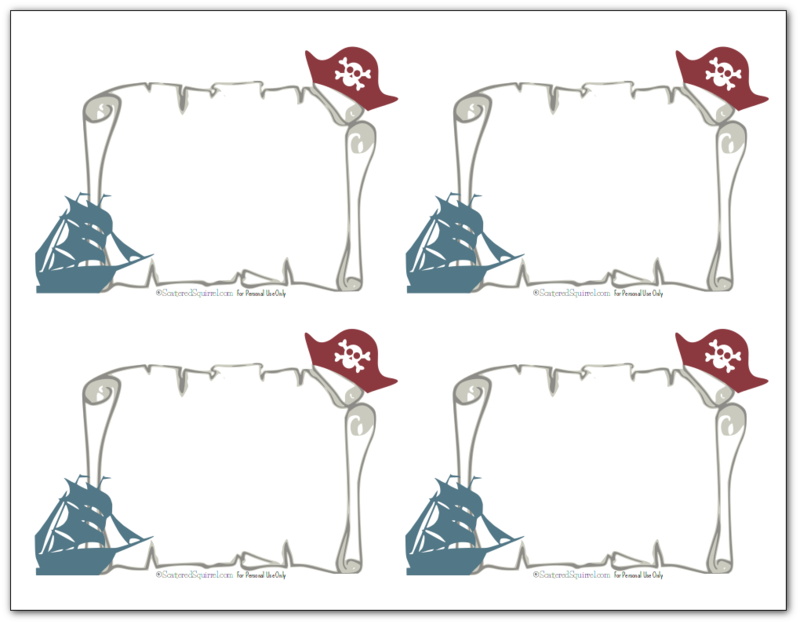 Trust me, if pirates are a favourite in your home then you’ll want to stop by that site, she has so much pirate goodness, from the sight word games to a whole home school until study. Take the fun of Talk Like a Pirate Day to even further heights with this great collection of pirate activities that your kids are sure to enjoy. The Super Mommy Club left no stone unturned in putting together this awesome list of pirate theme activities. You’re sure to find at least one your kiddos will have fun with. Do your kiddos like pirates? Are you doing anything fun for Talk Like a Pirate Day? These are fun! I linked to them from my pirate costume so my readers could find them here. Thanks for posting!